The DIA Group sees the franchise as a fundamental pillar of its business model that allows for the consistent expansion of its banners and generates value in all the countries in which the company operates. At the end of 2016, the group had 3,969 franchises, representing 50.9 % of the total network of stores. In 2016, DIA granted additional financing to its franchise network to improve business conditions, raising the total credit assigned to EUR106m, although a significant portion of these loans are covered by guarantees. In addition, the credit risk is highly diversified, as it is fully distributed among the 3,363 franchisees that made up DIA’s franchise model at the end of 2016. 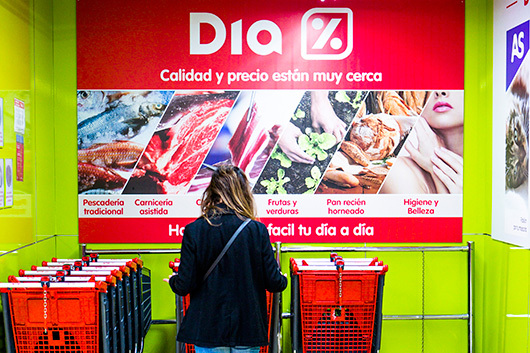 Since it opened its first franchise in Spain 27 years ago, DIA has been advancing in a model that has currently led it to be the leading franchiser in Spain, the third in Europe in the distribution sector and third in turnover in Brazil. 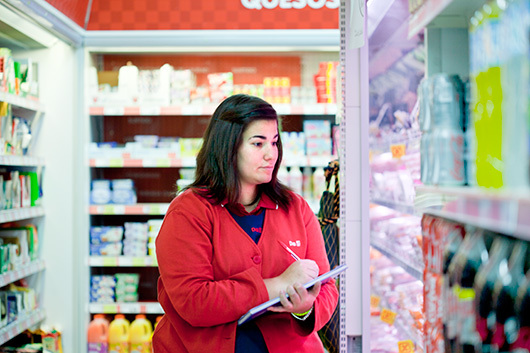 In Argentina, a country where 70% of stores are franchises, DIA is already the largest franchiser in the region. The success of the franchise model lies in the close relationship the company has with the entrepreneurs from the outset. While DIA provides its historical knowledge of the sector as well as the strength of its brand and powerful logistics infrastructure, the franchisee contributes commercial vocation and knowledge of the local market that is essential for the development of the proximity and closeness model. Consequently, there is a professional relationship of trust that not only generates benefits for the parties involved, but also adds value and enriches the environment in which the franchise operates. Accordingly, during 2016 DIA franchises generated 25,135 jobs in the five countries in which it has a presence, up 4% compared to 2015. The work undertaken during all these years on its franchise model has led the DIA Group to position itself among the 20 best franchising companies in the world, according to the international consultant Franchise Direct, which studies parameters such as capacity for innovation, number of stores, support offered to partners and environmental policies, among others. The DIA franchise has seen another year of exponential growth in the five countries in which it operates. In 2016, the DIA Group added 3,969 new franchises to its store network, up 7% compared to the previous year. Franchises already represent 48% of the group’s total network, and 61% of the DIA banner stores. By region, in 2016, franchises accounted for 43% of stores in Iberia (Spain and Portugal) and 68.1% in emerging countries (Argentina, Brazil, and China). With the exception of Spain (due to the recent acquisitions there), in all the other countries in which the company operates, the number of franchises already exceeds that of own stores, highlighting the company’s firm commitment to this model. 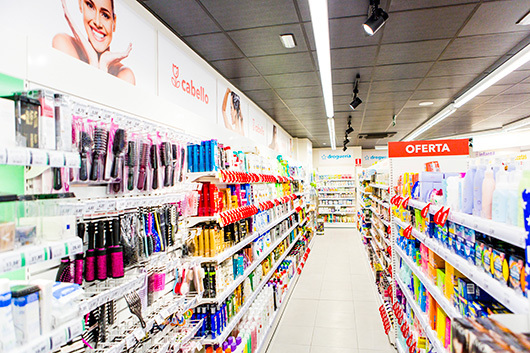 By type of format, the Market stores remain in the lead in terms of franchised stores, with 3,192 premises, followed by Día/Mais Perto, which has 519 franchises, and Maxi, with 151 stores. In turn, 2016 has been the year of consolidation of the Clarel franchises, which had 107 establishments at the close of the year. For the DIA Group, the franchise is part of its organic growth strategy and, therefore, the relationship and continuous communication with its franchisees is crucial to achieve excellence in the model. The company sees franchisees as the best ambassadors of its brand, contributing valuable and efficient knowledge for managing the proposed proximity store model. DIA franchises have full support and monitoring from the start of the commercial relationship with the company. The DIA Group analyses each project that it receives, collaborates closely in the search for the best premises for entrepreneurs, and draws up a business viability plan for each store. The company places a team of supervisors and specialists at the disposal of each franchisee, who provide advice and offer assistance in day-to-day business. Through its store-schools and virtual training courses on its DIAtraining platform and the DIA Academy in Argentina, the company provides training before and during the opening of each store. It also offers ongoing training with different information bulletins and tips that are sent through its direct communication channels with the franchisee. In order to improve and streamline processes with franchisees, in 2016 the DIA Group developed a series of digital tools that integrate with existing management processes to help simplify store management and, consequently, improve profitability. These new developments have emerged as a result of the listening groups launched in recent years, in which franchisees have been able to contribute their business view and find solutions to their daily needs. 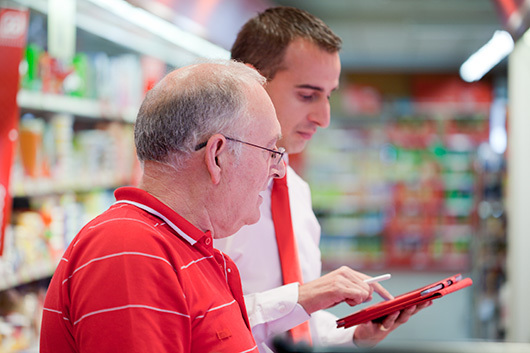 In Spain, a store management application was implemented in all franchises to digitalize and streamline daily tasks in the stores. This new system optimizes procedures to further reduce errors, further simplify access to information, and provide more effective customer service, which is the ultimate aim of the business. 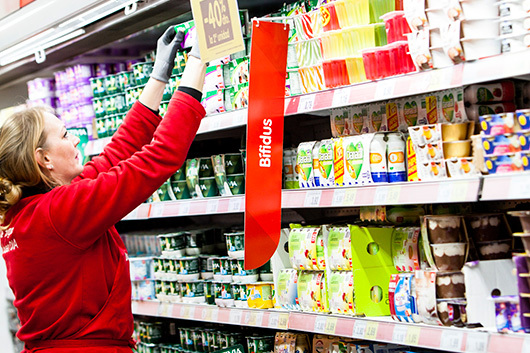 As a result of this commitment to digitalization, an in-store catalogue sales system has been set up for franchises in Spain, whereby customers can already place their orders through the Oportunidades DIA platform, where non-food products and electronic products can be found. This year, Argentina launched a logistics management tool for franchisees that enables real-time measuring of delivery compliance and the review of the time slot service for each establishment. The system also includes SMS alerts related to truck schedules and locations. Focusing on this direct communication strategy resulting from the opportunities offered by the digitalization processes, in 2016 DIA Argentina launched a weekly webcast with franchisees in which a company manager talks to them about the most relevant subjects and resolves their main management concerns. Like Argentina, in 2016 franchisees in Brazil were also involved in several training activities through e-learning and video classrooms. In 2016, franchises in China also incorporated an application that enables orders to be placed via smartphones and also has a series of sales terminal back-office functionalities and others exclusive to franchise operation, such as selecting purchase opportunities, returns, financial information, messaging and support (with franchisee support assistance service similar to a chat and with a specific timeframe for resolving questions or commenting on operating problems), among others. The success of the DIA franchise lies in the company’s close and trusting relationship with the entrepreneurs. To forge these ties, it is essential to work on two-way communication, so that the franchisees feel they are an important part of the company and vice-versa. 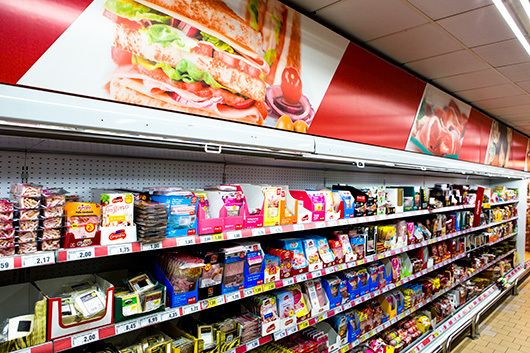 DIA’s communication with its franchisees is mainly channelled through the direct relationship with the supervisor and through the Franchise Portal, a digital platform that shares relevant business information, such as product range, orders and logistics, along with access to the database with information about the store itself and its performance. This direct communication channel is completed with other franchisee listening systems developed in each country, such as the Strategic Partner Assistance Service (CASE) in Argentina, which offers a telephone and email service, the permanent call centre in China or “DIA te escuta” in Brazil, aimed at resolving the main concerns and problems that arise in day-to-day business. To conduct a much more detailed monitoring of this direct relationship with franchisees, each year DIA carries out a satisfaction survey prepared by the independent consultant Nielsen, in which they are asked, confidentially and anonymously, about areas for improvement and the areas they are happiest with. In 2016, the fifth edition of the survey was conducted, with a 65% franchisee response rate in the countries in which the company is present. Generally speaking, 48% of those surveyed are satisfied in relation to their initial expectations of the business, and the attributes most highly valued by the franchisees, in line with previous years, include the quality and competitiveness of the DIA brand, as well as the advertising and Club DIA/Minipreço loyalty programme. The results of the annual survey were shared with franchisees in all the countries. In 2016, progress was made in the creation of new professionals that seek to go into greater depth in terms of a personalized service for franchisees and permanent support. Therefore, all warehouses in Spain now have a franchise analyst in their team in charge of advising the franchisee in economic and financial areas to promote business profitability. The position of logistics spokesperson has also been included, aimed at responding to demands relating to orders and other logistics-related aspects. This position has already been in existence for many years in the Brazil centres. Portugal has also incorporated the position of head of new projects, who will be in charge of providing support to franchisees in terms of implementing new activities rolled out by the company. In turn, in 2016 Brazil created the DIA Expert Committee with a group of franchisees, which aims to share useful network issues, ideas and suggestions, and to subsequently establish improvement plans. In the countries in which they operate, all franchisees receive periodical and specific publications with the latest company news and advice about better management practices. All group countries distribute a newsletter through various channels with relevant company information. Argentina has a bimonthly magazine called “Socios”, while Spain distributes a digital newsletter every two months informing franchisees about the latest commercial features, corporate social responsibility, etc. A publication is also distributed in Portugal, China and Brazil. Under the name of “Proyecto de dinamización de la franquicia” (Franchise Dynamization Programme), the DIA Group holds regular international meetings with franchisees, in which a large part of the company’s departments are involved, promoting direct and two-way contact. At these meetings, store management, logistics and commercial matters are discussed directly with the management teams of Spain, Portugal, Brazil, Argentina, and China. Likewise, in 2016, the company continued to develop several meeting forums and dialogue in countries in which a small group of franchisees meet with managers from different areas to discuss specific day-to-day matters, thus improving processes and procedures. In keeping with involving all departments in the development and knowledge of the company, each country organizes a “Semana de la Franquicia” (Franchise Week), where employees from different areas attend training talks about the DIA franchise. In addition, both countries carry out franchisee integration workshops, in which franchisees can exchange opinions and concerns with company managers. Given that the DIA Group sees the franchise as a cornerstone of its international expansion strategy, it has different communication channels through which it informs possible entrepreneurs interested in the franchise model about key aspects of the business. Accordingly, all countries have their own website dedicated exclusively to promoting the most noteworthy aspects of the DIA franchise, as well as the different commercial models. In addition, the DIA Group is also present at several specialized trade fairs, where people interested in the franchise model receive first-hand information. In 2016, the company participated in over 20 trade fairs in the five countries in which it is present. We highlight the “Programa Referidos”, aimed at attracting new franchisees in Argentina. As part of this programme, employees and franchisees are motivated to search for new entrepreneurs. If the interested party who has been proposed joins the company as a franchisee, those who proposed them are awarded a series of points that can be exchanged for prizes and travel. In 2016, 30% of franchisees were recruited through this channel. 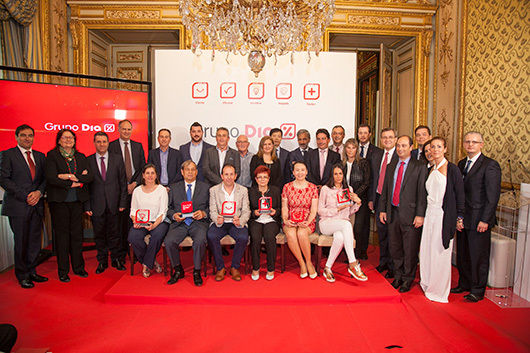 The DIA Group recognizes the work carried out each year by its franchisees, and to that end organizes in Spain its “Premios a los mejores franquiciados del año” (Awards for the best franchisees of the year). The aim is to put a spotlight on the company’s commitment to franchisees throughout the year, highlighting their work in five categories that are aligned with DIA’s five corporate values: Customer, Effectiveness, Initiative, Respect and Team. In 2016, these prizes include recognition for an international franchisee, awarded to a Portuguese entrepreneur. All the details here. Argentina, for its part, also held an award ceremony that rewarded the five franchisees that best represent DIA’s values and that are considered to be the best ambassadors of the DIA brand of the year. To complement the growth of the usual franchise model, the DIA Group also has strategic agreements with local entrepreneurs, giving them the exclusive right to market the brand in certain countries and regions. Through these partnerships, the company ensures the rapid growth of its store network in large geographical areas with highly diverse consumer profiles. 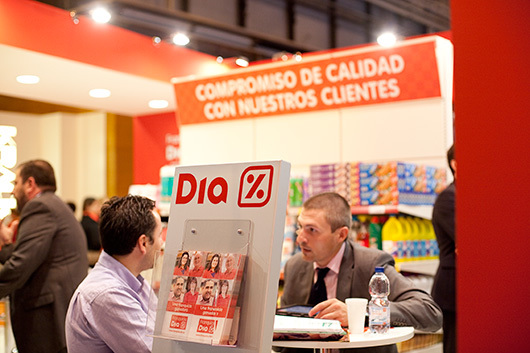 In 2016, these master franchise agreements allowed DIA to enter a new country, Paraguay, where it signed a partnership with one of the leaders of the local distribution of mass consumer products, Distribuidora Gloria, whereby it has begun to develop the DIA store format in the country. Also in 2016, DIA signed a similar agreement with a local partner to expand the business in Rio de Janeiro, a state where the DIA Group did not already have a presence. With a population of more than 16 million inhabitants, it is estimated that 32 establishments will be opened in the first stage in the city of Rio, in which the company’s entire commercial offering will be implemented. These recent agreements are in addition to those that the DIA Group has had in Argentina and Brazil since 2014. 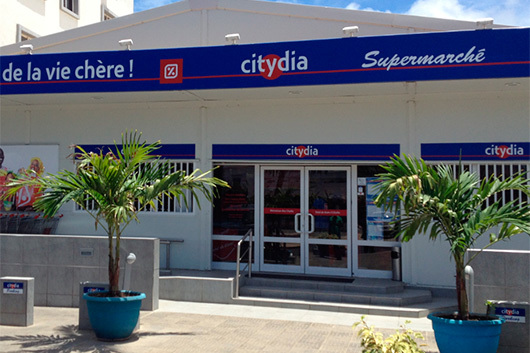 In the Salta region, with a population of over 1.2 million inhabitants, the group has 16 stores, under the master franchise system, while in the Brazilian state of Bahía, with over 14 million inhabitants, at the close of 2016 it had 36 establishments. In Brazil, the DIA Group again obtained the seal of Franchise Excellence in 2016, a prestigious award of recognition in the sector due to the demanding criteria used, including numerous direct interviews with the franchisees. The DIA Group also has brand assignment agreements with local partners in Africa and the Middle East, which has led it to have 97 stores under the City DIA format in Senegal (75), Nigeria (6), the Ivory Coast (9), Guinea Conakry (3) and Ghana (4). Partnership management offers all the support and expertise to its partners for the development of the model in these countries.